Business Cards are a great marketing tool for your business. 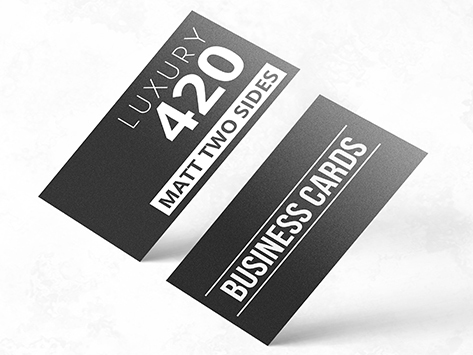 If you are looking for a silky smooth finish, our 420gsm Matt Celloglazed business cards win all the applause! You can choose one of our FreeTemplates, Upload your own artwork or simply contact us to discuss your Business Card Design.